Learn how to make riced veggies to use in your favorite healthy recipes! Ricing vegetables is quick and easy to do, and it costs less than buying them at the store! Well guys and gals, today you’re in for treat. Okay not really a treat, but more of helpful tool. I know, I know, it’s Valentine’s Day and I’m posting about veggies. GASP! 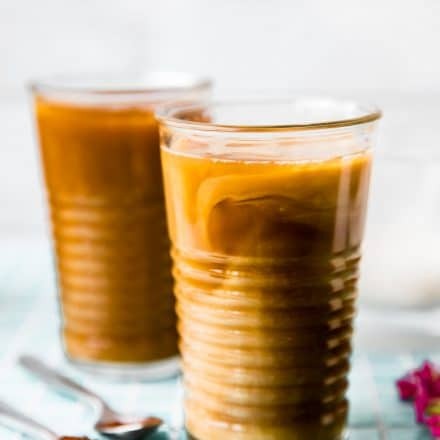 But this post just happens to be our our next recipe for our HOW TO series. And this is worth saving! 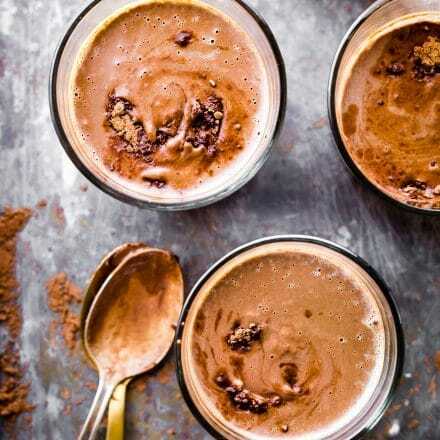 So once you finish your dark chocolate, pull up a chair and let’s talk VEGGIES! The 411 on riced veggies! 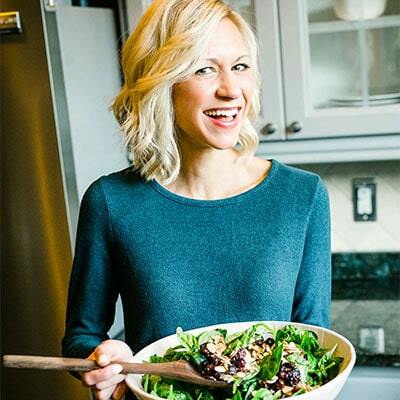 If you make or eat a lot of gluten-free, paleo, Whole30, or low carb recipes, you’ve probably used and/or eaten riced veggies. They’re grain-free, gluten-free, low in calories, and they’re a great replacement for high-carb foods like potatoes and rice. What vegetables can be riced? There are SO many varieties of riced veggies, to list them all would take a long time! 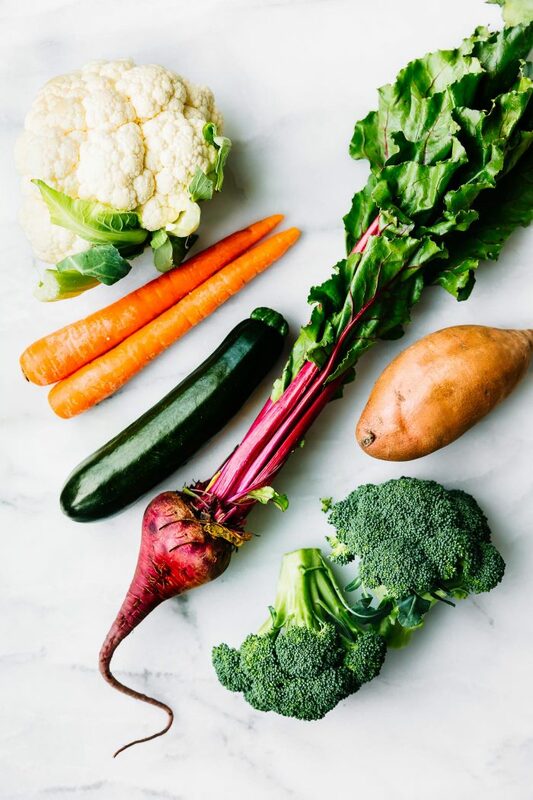 Some of the best vegetables for ricing are cruciferous varieties, like cauliflower, broccoli, cabbage, and Brussels sprouts. Potatoes, squash, beets, and carrots are great for ricing, too. Today, I’ll show you how to make riced veggies using a few of my favorite vegetables. 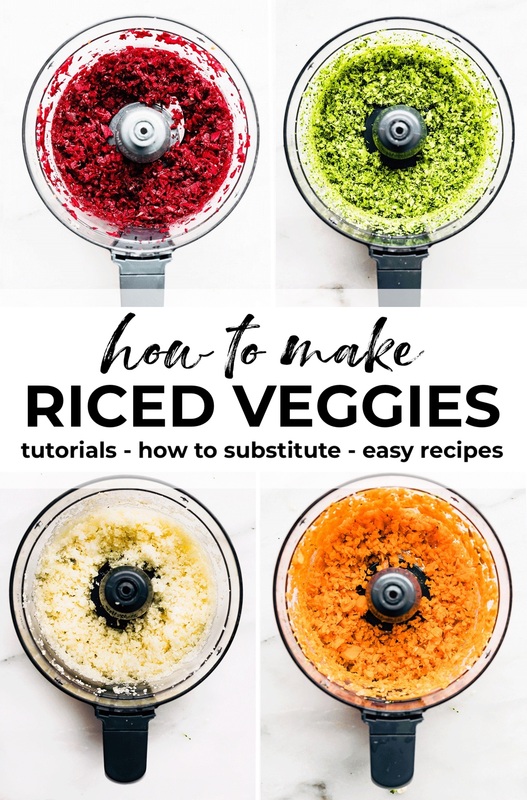 It’s really easy to incorporate riced veggies into recipes, At the bottom of this post, you’ll find instructions on how to store and cook them, too. 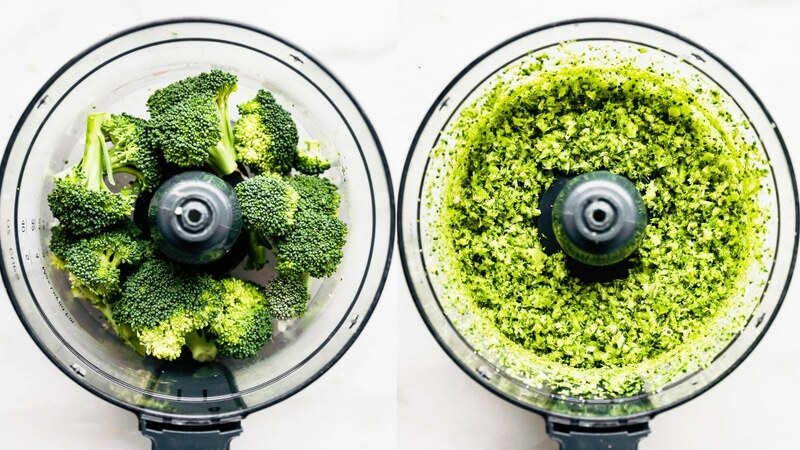 Cut the vegetables into small enough chunks that they will fit through the feeder tube of a food processor. BONUS: You can rice the stems, too! 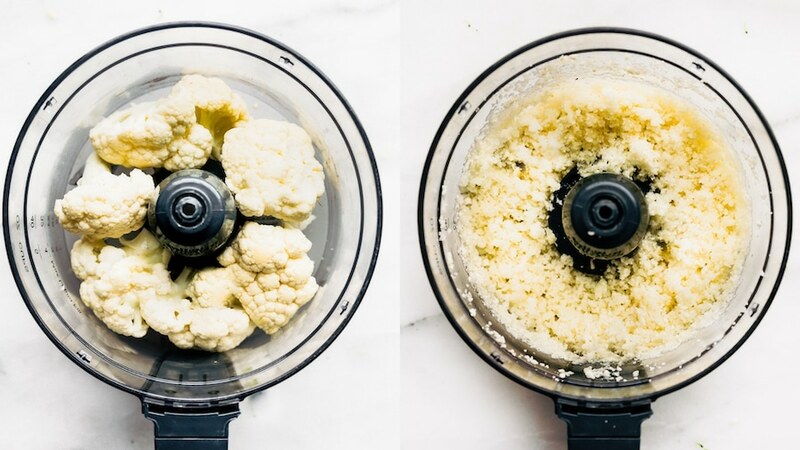 In small batches, put the cauliflower chunks into a food processor. Process until the cauliflower has the consistency of rice. Repeat with the broccoli florets. What You’ll Need: 2-3 large beets, scrubbed and peeled (peeling optional). Cut the beets into small enough chunks that they will fit through the feeder tube of a food processor. 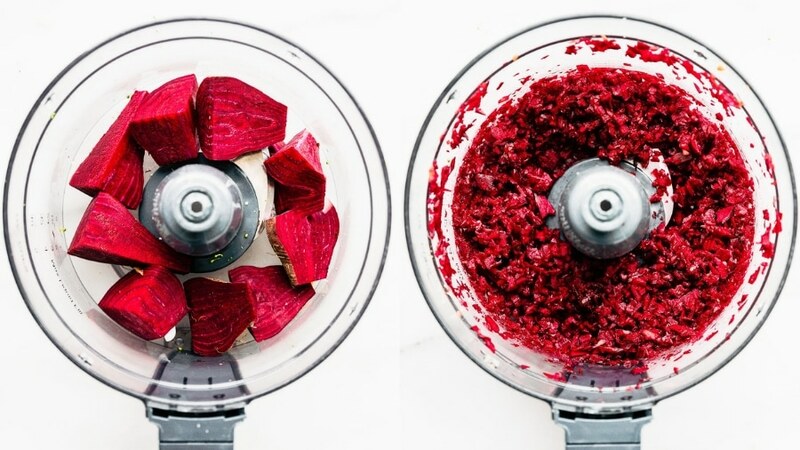 In small batches, place the beets into a food processor fitted with the grating blade. Process until the beets have the consistency of rice. 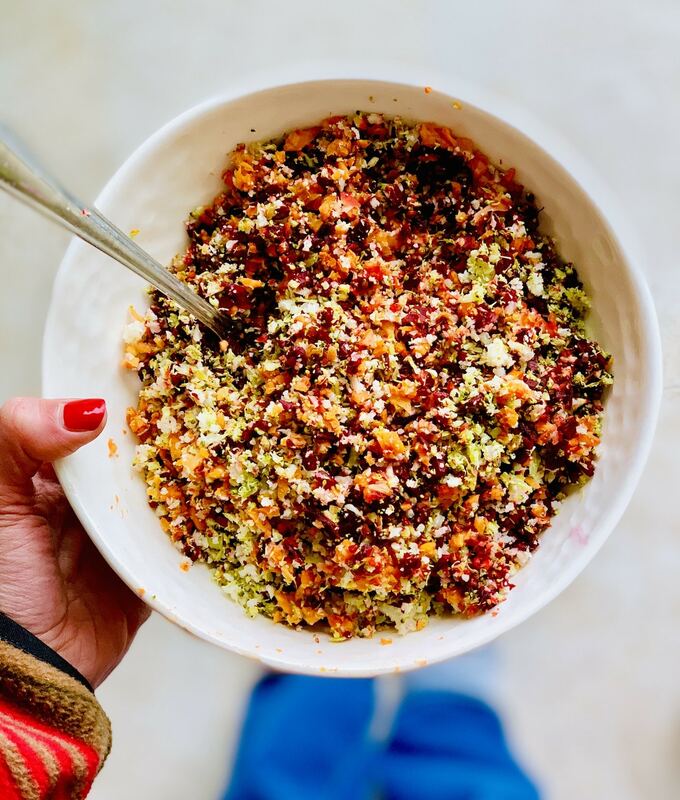 Or try making this Gujaratari Style salad with beet rice added to even out the spice! 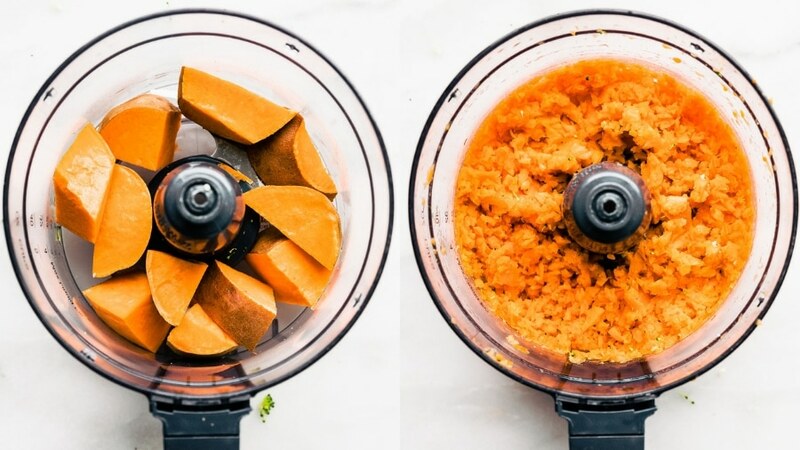 Cut the peeled sweet potatoes into small enough chunks that they will fit through the feeder tube of a food processor. In small batches, place the potatoes into a food processor fitted with the grating blade. Process until the sweet potatoes have the consistency of rice. 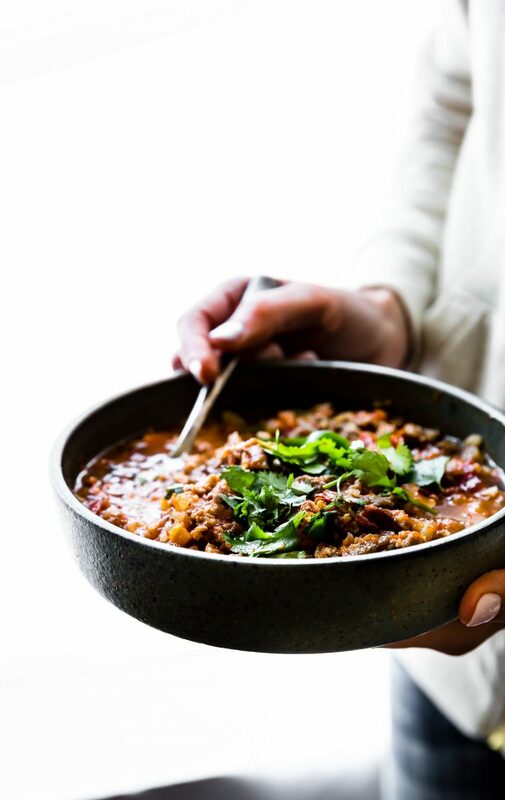 Or you could use sweet potato rice instead of chopped sweet potato in this sweet potato chili! Cut the carrots into small enough pieces that they will fit through the feeder tube of a food processor. 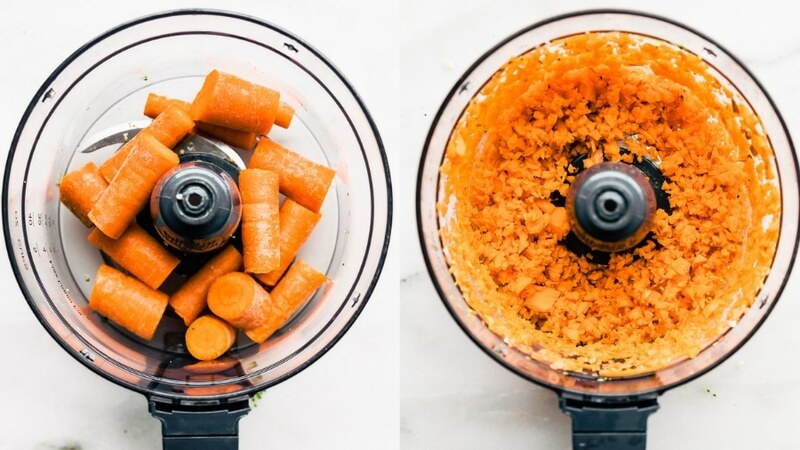 In small batches, place the carrots into a food processor fitted with the grating blade. Process until the carrots have the consistency of rice. Vegetable rice freezes really well, too. Before freezing, make sure that your riced veggies are completely cool first. Then all you have to do is store them in Ziplock bags. Be sure to press out as much air as you can before closing the bags. Lay the bags flat in the freezer and the riced veggies should keep well for about 3-4 months. It’s SO easy! Simply cook them as you would any regular veggie. Due to the texture, I am a little more sensitive when cooking them, so if you have a large amount, work in batches. Riced veggies work really well in a stir fry, as a flour/filling base (like in this falafel), in risotto, soups, etc. Let’s put it all together in one place for ya! How to make riced veggies for low carb and/or paleo meals, budget friendly meal prep, and more! Tutorial and cooking tips! Several veggie rice recipes listed in the blog post! Vegetable rice freezes really well. Before freezing, make sure that your riced veggies are completely cooled. And finally, my last tip for riced veggies. 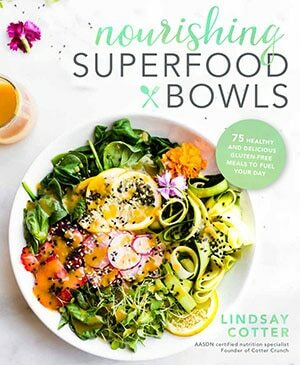 BEST WAY TO USE UP ALL YOUR VEGETABLES AT ONCE?! 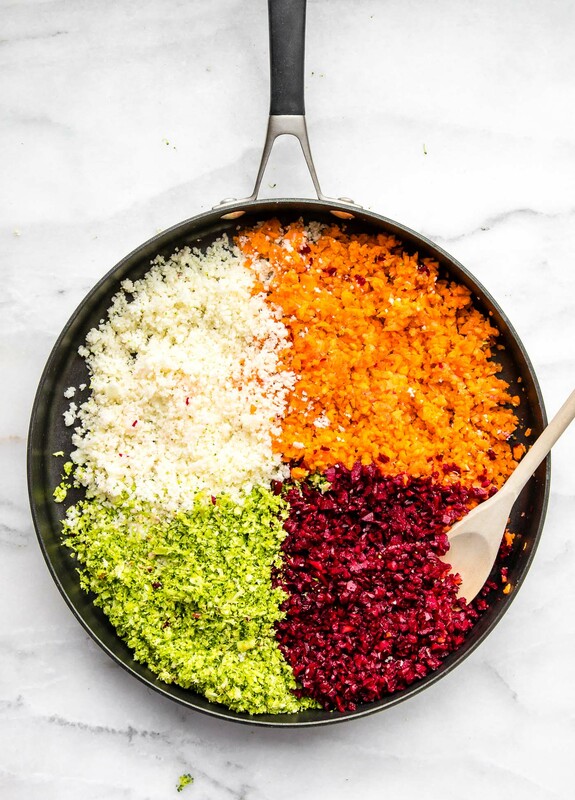 Make a beautiful veggie rice pilaf! 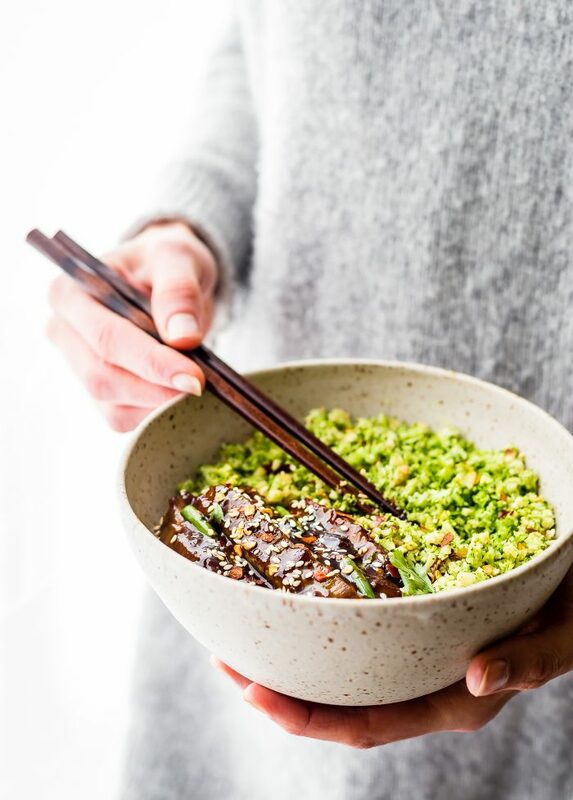 Have you tried ricing vegetables yet? If so, let me know your favorite recipe so far! If not, pick one here, try it, and report back. Mmmm k? Yes, I LOVED ricing vegetables (especially for a “fried rice” type dish or even “rice” pudding)! It’s truly amazing how many vegetables can be used for this. Thank you for the excellent tutorial and recipe inspiration (as always). oh i need this recipe for rice pudding! did you use cauliflower rice? GENIUS! I could look at these pictures all day. So gorgeous. 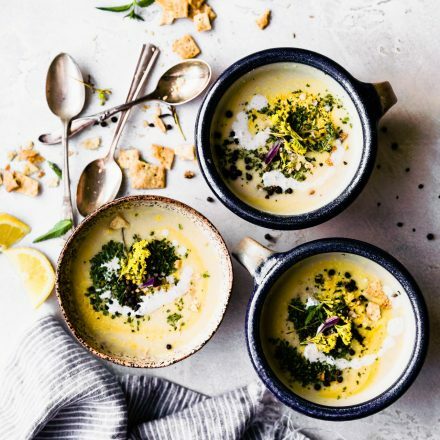 These recipes are so fantastic! Cauliflower rice, zucchini rice, and sweet potato rice would probably become my go-to’s if I decided to make these pre-riced veggies more often, which I definitely will at some point. Making fried rice or serving them on the side with other dishes is another fantastic way to integrate more vegetables into your diet! 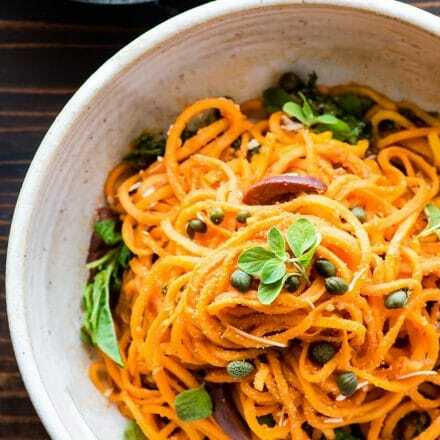 It’s no trouble for me to consume enough vegetables, but it never hurts to incorporate more of them when you can! Totally agree! Can never have too much. Fried Veggie Rice is my fav too. 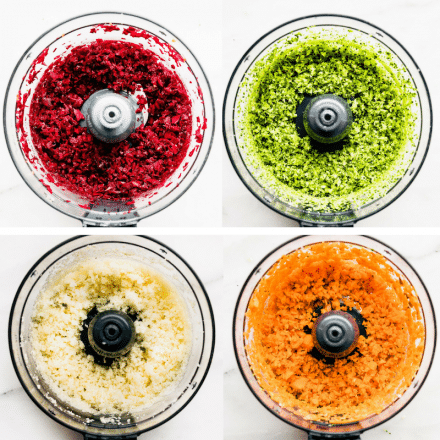 I love riced veggies–cauliflower, broccoli, zucchini, and carrots are my favorite vegetables to process into fine grain-like pieces! I have yet to try riced sweet potato, but I’m sure it’ll be GENIUS.